On Tuesday, April 12th at 7:00 p.m. CST, Daniel A. Bobrow, AIM Dental Marketing's president, will participate in a teleconference entitled Do Well By Doing Good. The teleconference series is sponsored by The Speaking Consulting Network (SCN) which, as its website shares, "...is a group of like-minded speakers, consultants, and writers who network annually with leading-edge corporate sponsors, editors, and meeting planners to shape and redefine our profession." 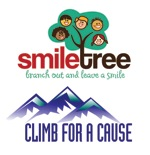 The teleconference will be hosted by SCN Member and practice consultant Roy Shelburne, and will demonstrate how to harness the concept of cause marketing, also known as cross sector partnership, to generate greater benefit for a dental practice's chosen charity, while growing the practice. "Cause marketing is the process of achieving one or more business objectives as a consequence of supporting a worthwhile cause. I am on a mission to leverage the generosity of the dental profession by sharing these simple, but powerful ways to harness this tactic." says Bobrow. Bobrow is himself one of only twelve SCN Charter Members, having attended the first conference back in 1996. SCN now boasts well over 500 Members. "It's an honor and privilege to be celebrating SCN's 20th Anniversary this year, and to have been asked to share our experience in demonstrating how dental and consulting practices to do well by doing good." concludes Bobrow. To attend the April 12th teleconference which begins at 7:00 p.m. CST, and runs for approximately one hour, call 1-302-202-1110 and use conference code 616454.